The mulberry bush is not just a folkloric song lyric. You won’t find these sweet, tangy berries in the supermarket due to their short shelf life, but they are easy to grow, abundant, and fast growing, which makes them perfect for containers. If you’re interested in growing mulberries in containers, keep reading to find out how to grow a mulberry tree in a pot and other dwarf mulberry tree facts. Mulberries are suited to USDA zones 5-10. In the ground, mulberries grow into a large bush, but a container grown mulberry tree’s size can be kept smaller (2-6 feet tall) by pruning just after fruiting. Pruning a mulberry also encourages the plant to produce berries again, resulting in several crops throughout the growing season. Mulberries may be female, male or bisexual. If you are growing from seed, you are more likely to get either a male or female. Commercially sold mulberries are bisexual or self-pollinating. The plant blooms in the early spring and is quickly followed by a dense crop of large juicy berries, about the size of a big blackberry. This berry is so prolific; it even yields well in its first year and may produce several crops. The children’s song ‘Pop goes the weasel’ isn’t the mulberry’s only claim to fame. Mulberry foliage is the silkworm’s favorite food and has been cultivated for centuries specifically for this purpose. The practice of breeding silkworms for their raw silk production is called ‘sericulture’ and has been around for over 5,000 years in China. Mulberry trees also have long pliable branches perfect for weaving into baskets, fences, and screens. 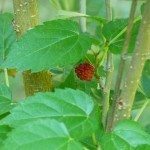 All these interesting uses aside, the number one reason for growing a mulberry is for its fruit. The luscious berries can be eaten fresh, dried, frozen or made into pies, jams, and frozen desserts. They can also be turned into wine or the juice can be used as a dye. Intrigued? So, how do you grow a mulberry tree in a pot and is there any special care needed of mulberries in pots? There isn’t much in the way of special care for mulberries in pots. They are extremely forgiving plants. Full sun exposure will make your mulberry happiest. Interestingly, the tree will do quite well with wet roots, but it can also be drought tolerant once established. 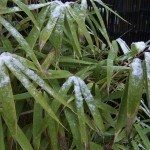 They are also frost tolerant, although it is best to mulch around the plants to protect the roots from freezing and thawing. Mulberries are tolerant of a variety of soils but when potting them, it’s best to use a good quality potting medium amended with some nutrient rich compost. Feed the tree at regular intervals during the growing season with a balanced fertilizer, liquid seaweed or water with compost tea. Allow the surface of the soil to dry between waterings and then saturate the soil. You can prune ever-bearing varieties at any time to retard their growth. 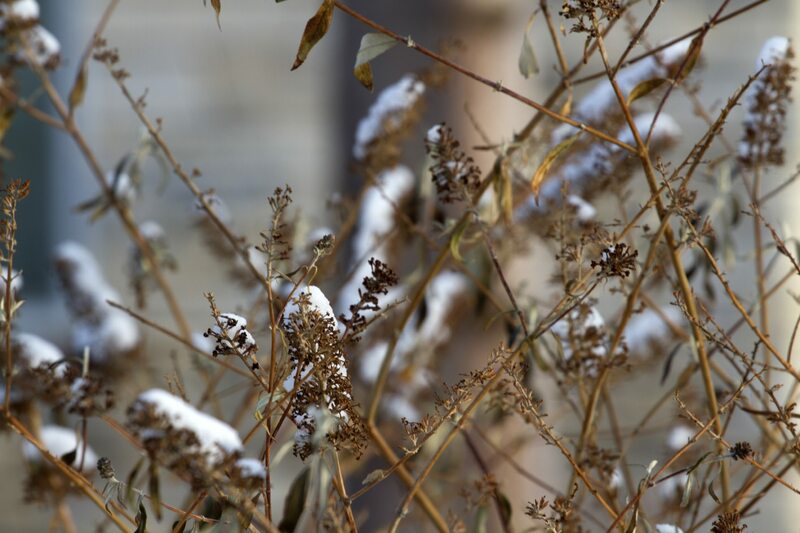 Otherwise, cut back leggy plants in the late winter or early spring. Berries are formed on new growth. 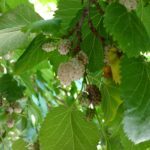 Mulberries have little to no issue with foliage or root diseases. 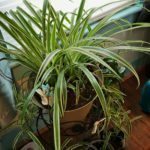 They are, however, susceptible to spider mites, whiteflies and mealybugs, but these are usually fairly easy to manage. Read more articles about Mulberry.